Information collected about gift recipients is used for the sole purpose of shipping gift items. Information may be removed or modified by you at any time. Recipients may request to be removed by contacting our Customer Service Department by E-mail at www.Indianriverfruits.com or telephone at 1-800-343-7848. Indian River Fruit Company features security measures to protect the loss, misuse or alteration of information placed under our control by limiting access to our computers storing your personal information, and uses encryption technology to scramble private data as it is being transmitted to our servers. 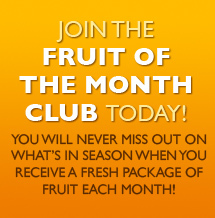 Indian River Fruit Company allows users to opt-out of receiving E-mails Specials and Promotions from us. 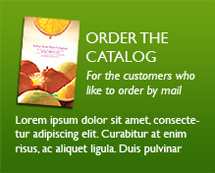 To opt out of our E-mail Specials and Promotions please send an E-mail to Customercare@indianriverfruits.com with Unsubscribe as the subject line.